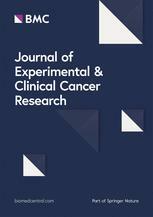 Journal of Experimental and Clinical Cancer Research is ranked in the first quartile of oncology journals in Journal Citation Reports and is the official journal of the Regina Elena National Cancer Institute. Publishing high-quality multidisciplinary research on all aspects of basic, clinical and translational oncology studies, the journal is a valuable resource for oncologists and researchers alike. The open access platform provides visibility on a global scale and makes an impact in real time, with the journal providing authors with a first decision after submission within 30 days.